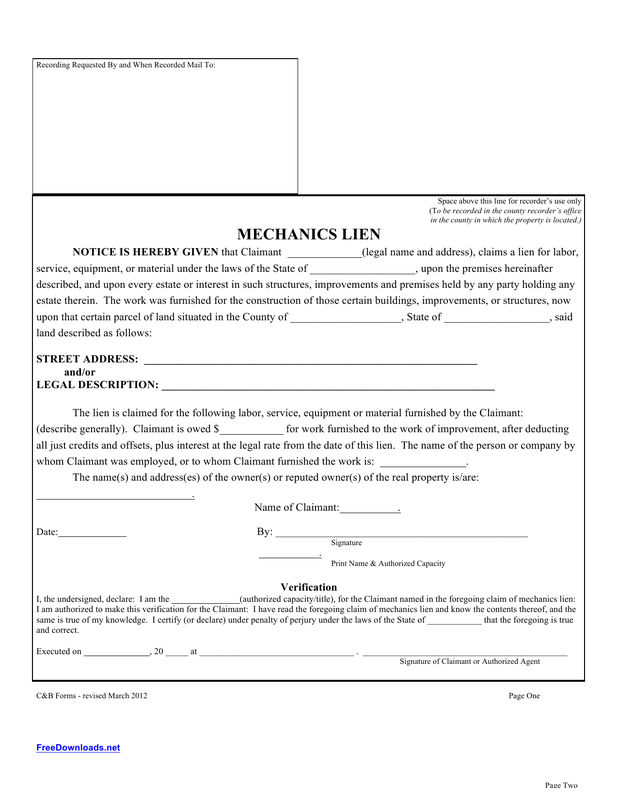 Download the Blank Mechanic Lien Template that could be used by any mechanic or any contractor for the purpose of ensuring that the property is secure until full payment is made. Payment must be made in full as agreed or the mechanic and or contractor may file a lien that will protect them legally from returning property to the owner or to take ownership of the property after a specified amount of time. Any legal decisions would be made at the state level and according to each state’s specific laws. 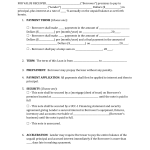 Once the Mechanic’s lien has been completed, it will be submitted for service to the current owner of the property. 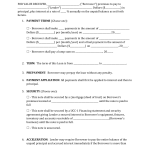 Page two is reserved for the process server. Copy of the served document will be returned to the courts as served.